If WhatsApp jokes had bored you enough, here is your chance to get caught in the ‘laughter riot’ at India Environment Festival’ 2018 where you must not miss the Stand-up comedy. Book yourself a seat first, you can thank us later. The evening would get even more exciting when the tales from the hinterlands would be presented in the one of the oldest storytelling formats – Dastangoi. Slip into the era gone by with ‘Dastangoi’ that would bring to life the unheard stories of nomadic communities (khanabadosh) from across the country at India Environment Festival’ 2018. 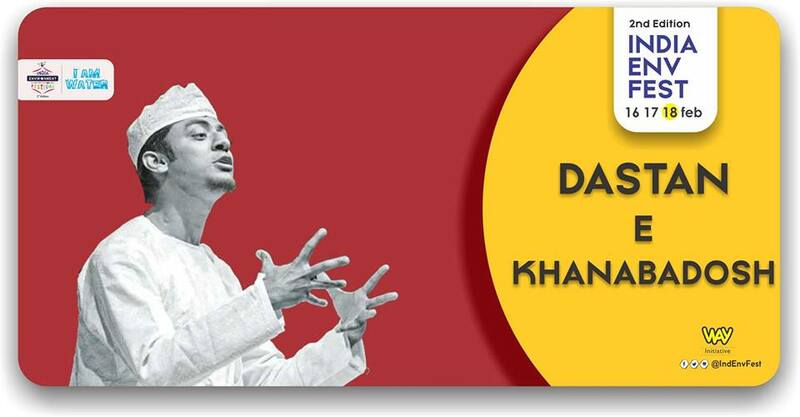 Writer, researcher and eminent storyteller, Ankit Chadha specialize in weaving new narratives for Dastangoi – the art of storytelling. Like the herder following the herd, Ankit has followed the herders in Gujarat, Uttarakhand and Rajasthan to bring us their tales.